An unofficial fan community blog for all things Punisher! 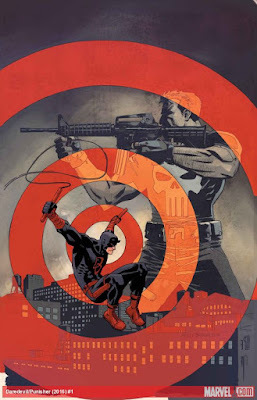 Yesterday Marvel released a cover of a comic book with Daredevil and Punisher in it. They didn't release any details, only the artist will be Reilly Brown (Cable & Deadpool, Amazing Spider-Man) and the released date for this comic to be in the week of 4th of May. 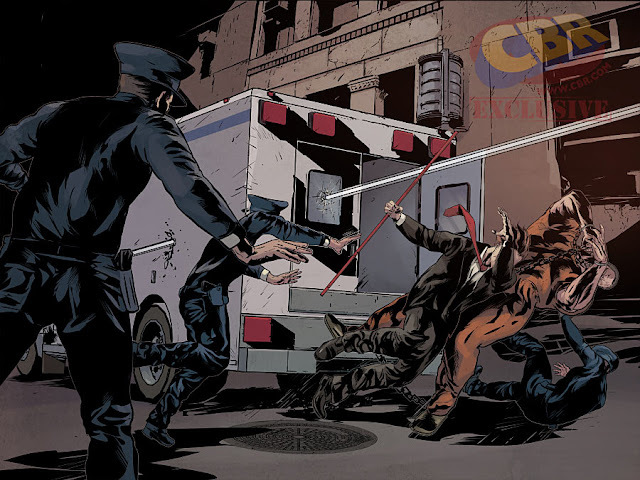 This will not be a comic book like we are used to see, it will only be released in digital form. This book is part of the project called "Infinite Comics", that Marvel began in 2012 with Avengers vs X-Men Infinite. For those who don't know what is "Infinite Comics", it's basically a interactive story specially designed for digital platforms. 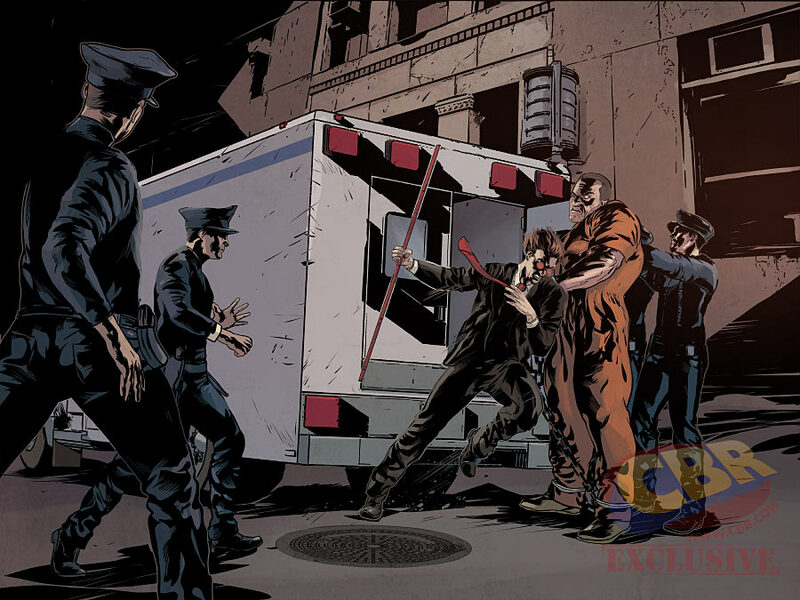 Infinite comics are designed for horizontal, on screen reading. One of the major points of these Infinite Comics is the dynamic panels, transitions and captions or dialogue boxes that appear sequentially on an image at the prompting of the reader. The user can keep his own pace of the reading experience, advancing the story with each swipe. This article will be update as soon as i have more information to share about it. 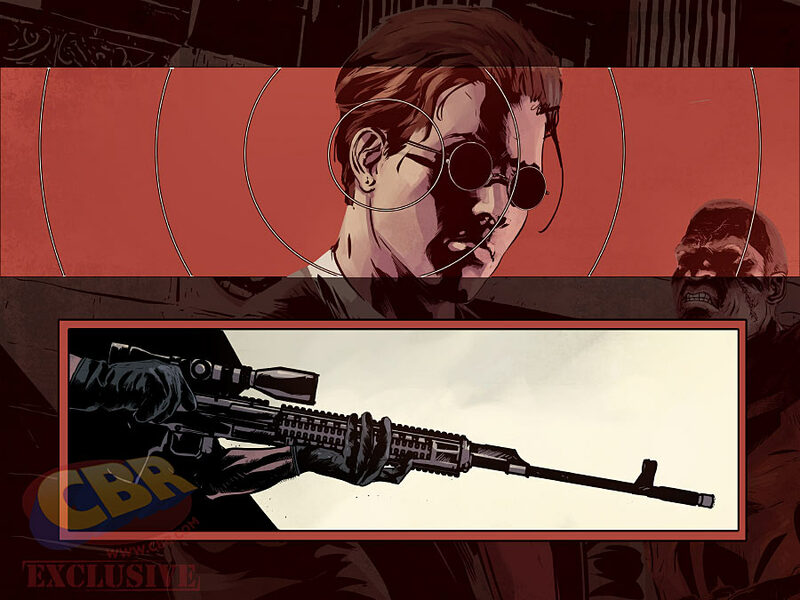 *Update: There is already a solicit of an issue #2 without any image/cover, we can guess it's a miniseries. Reilly Brown just told me he is going to do the covers and the layouts of the comic. While the finished art will be doing by Szymon Kudranski. 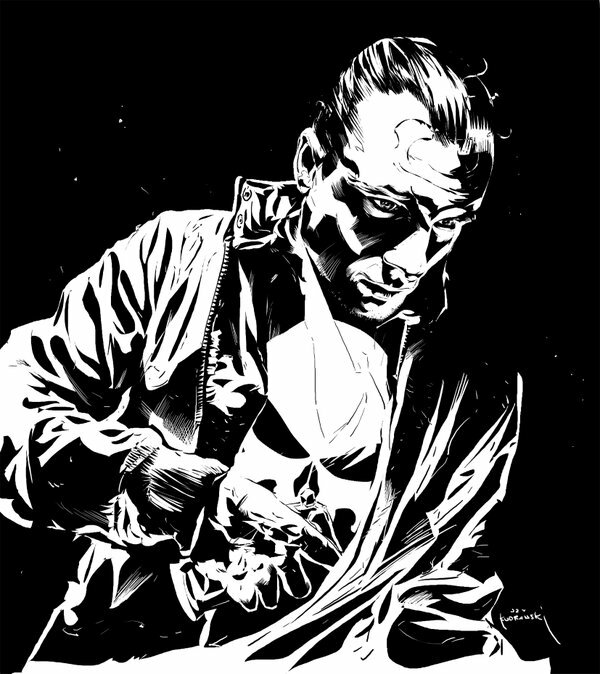 Kudranski sent me an old sketch of his Punisher artwork. He has a very realistic artwork. Awesome! A simple change of venues for one of Matt Murdock’s cases becomes more complicated when THE PUNISHER attempts to send the defendant away…permanently! If DAREDEVIL and BLINDSPOT want to get this mobster his day in court, it will take every ounce of wit and wile they have. All Frank needs to get what he wants is a bullet. The race is on!" 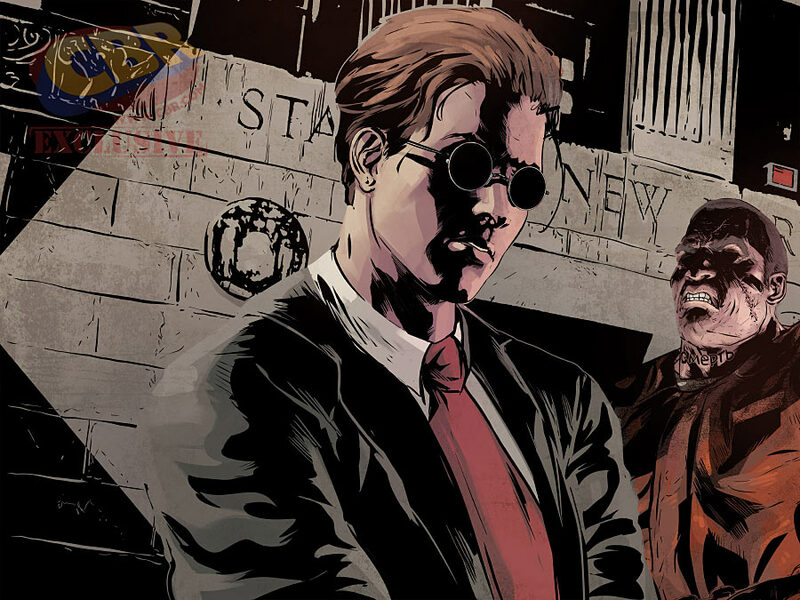 Update #03: Charles Soule will be the writer of this series! This story will debut digitally in March and it will be printed in April. 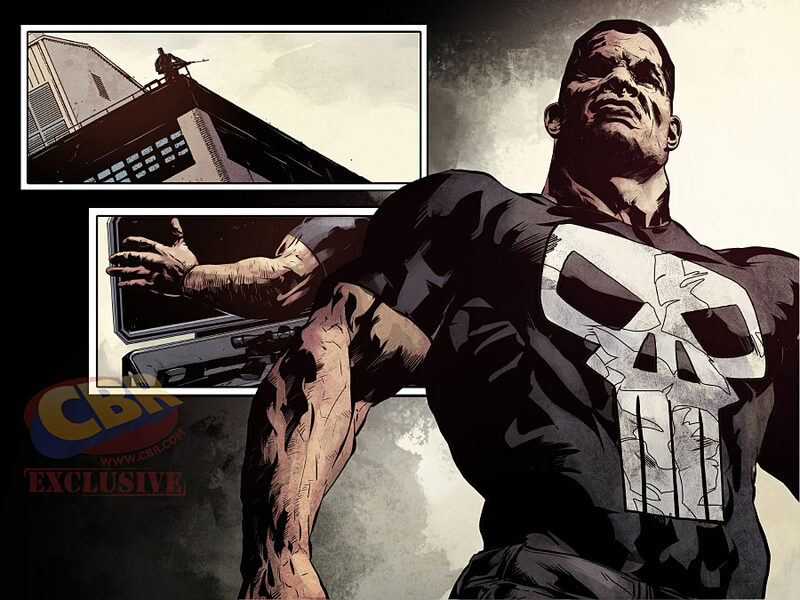 PC POST #338: New images of Jon Bernthal on set as Punisher! PC POST #372: New image of Jon Bernthal as Frank Castle pre-Punisher! PC POST #356: It's official! The Punisher will use the War Machine armor! PC POST #388: -REVIEW- MARVEL'S THE PUNISHER & Easter Eggs! 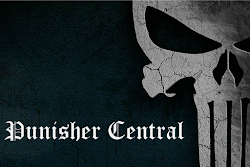 This site is the property of Punisher Central. Picture Window theme. Powered by Blogger.